7. 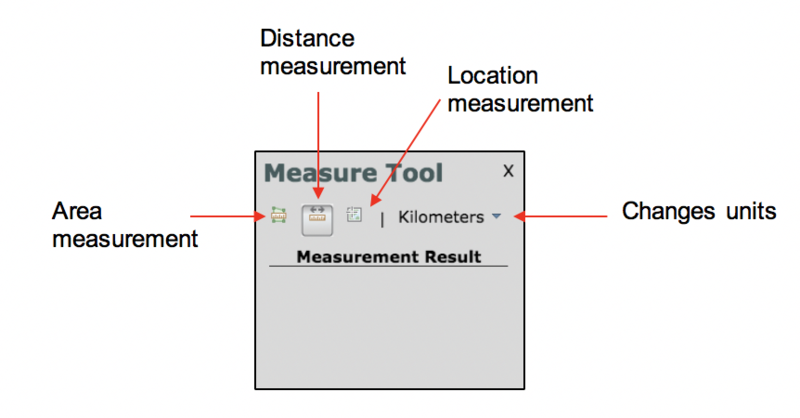 Clicking a new point once you have terminated a measurement will start the process over. 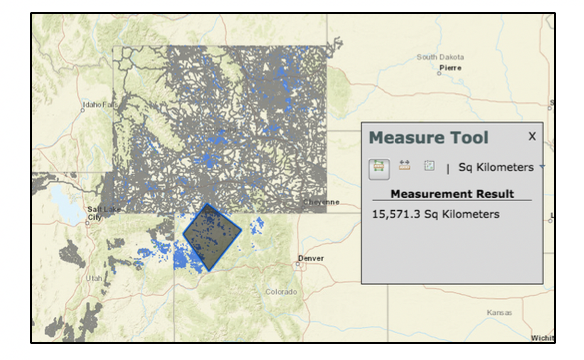 The draw tool enables the user to select an area by drawing a polygon around a disturbance and/or reclamation area to view an analysis of the area. 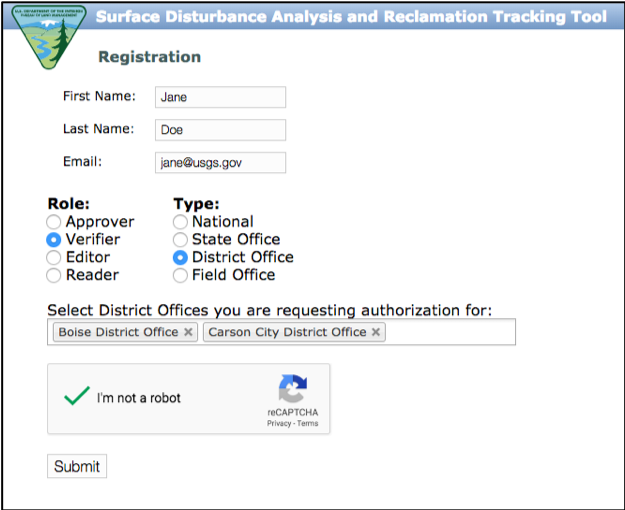 The Disturbance Cap, Density Cap, Decadal Calculation, and Verification Status tables are returned. Note: If you receive an error that reads, "Error: Invalid input polygon. Please make sure there are no self-intersections and polygon otherwise looks valid." - try redrawing your polygon. 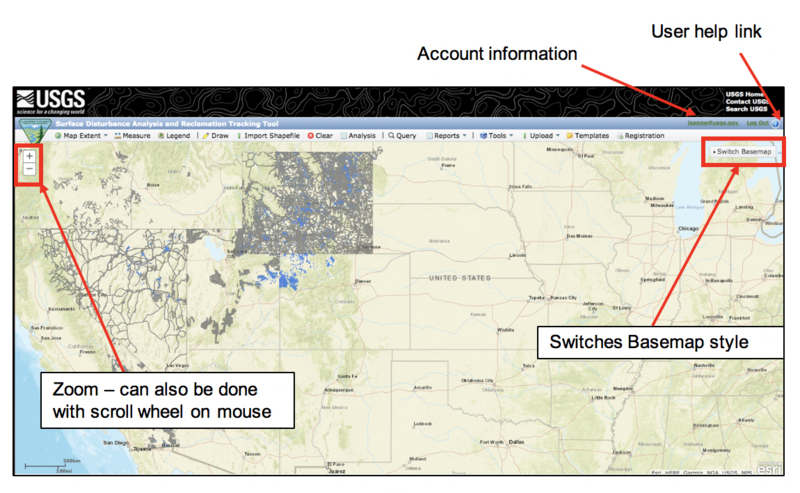 This will clear any selections or temporary data from the tools (draw, measure, query, etc.). 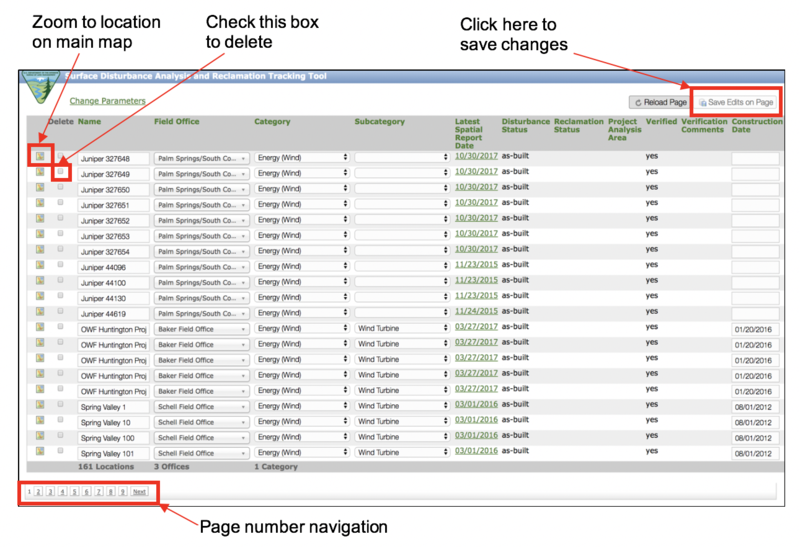 This button will recall the last data submitted using Draw. Note: The project must already be uploaded into the tool with the associated as-built and projected disturbances to successfully perform an analysis of the project. 5. 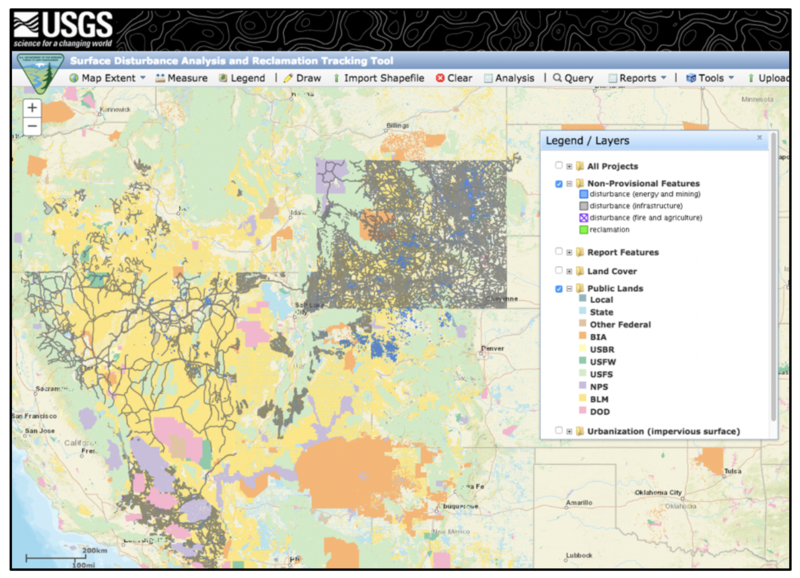 SDARTT will open a new map showing the boundaries of the specific project requested. 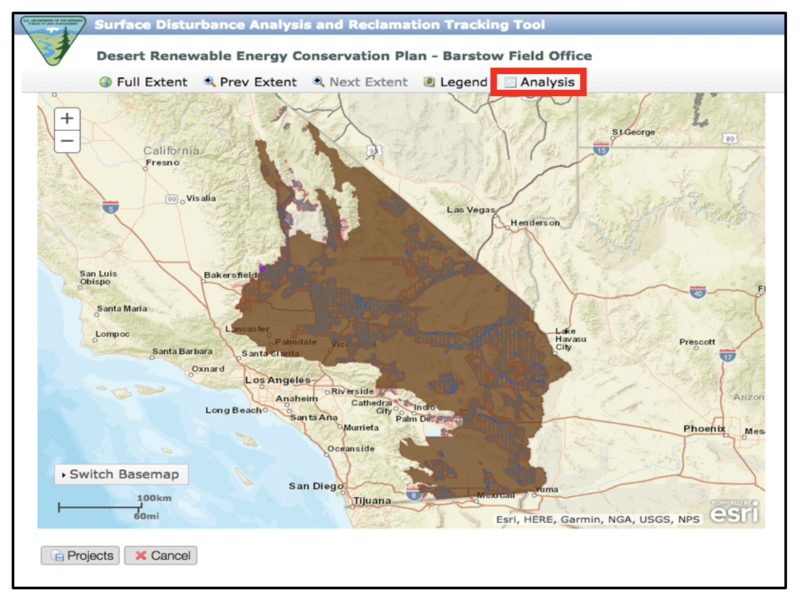 The Desert Renewable Energy Conservation Plan (DRECP), a major component of California’s renewable energy planning efforts, will help provide effective protection and conservation of desert ecosystems while allowing for the appropriate development of renewable energy projects. 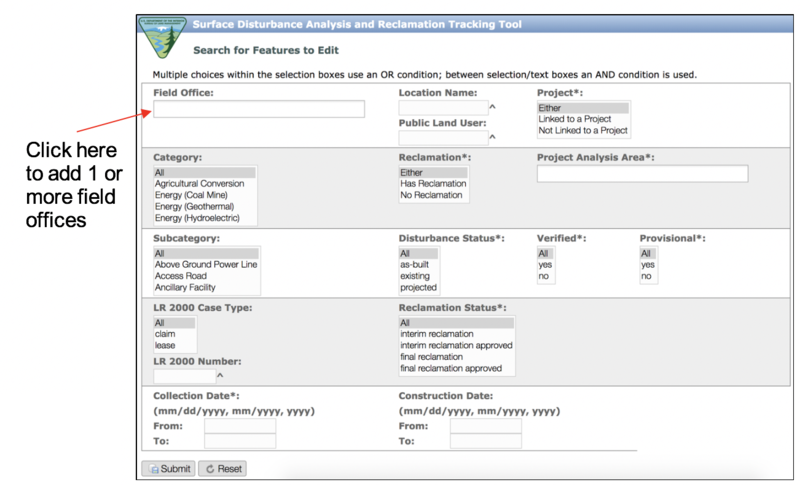 The Edit Locations option changes the field office, category or subcategory, status, and various other features of the location, or to delete a location. 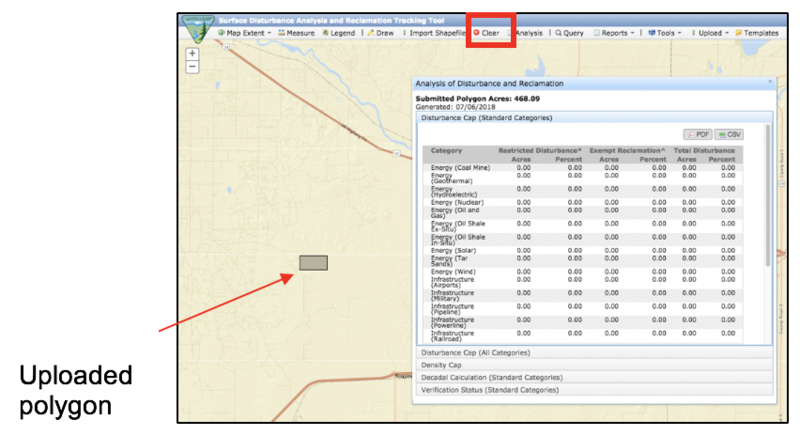 * NOTE: The Verify Spatial Reports function is designed to quickly verify or un-verify locations. 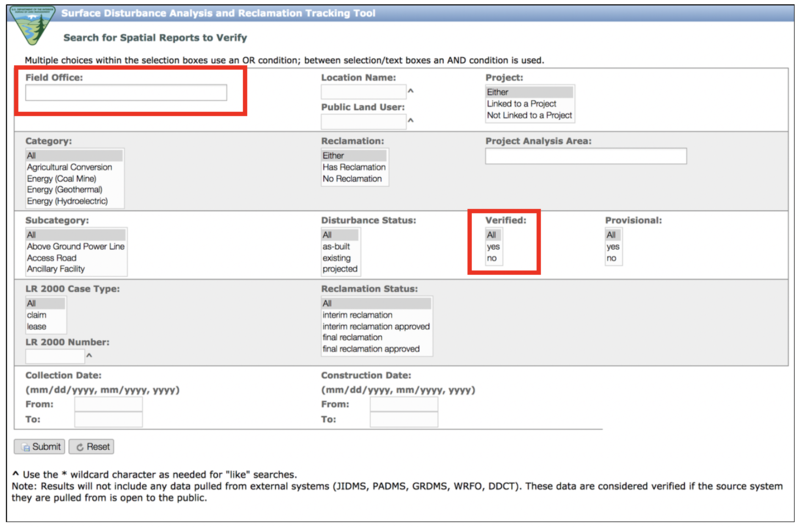 The Verify function is recommended, instead of the Edit function, if verifying or un-verifying is the only needed task to complete, or multiple locations need to be verified. 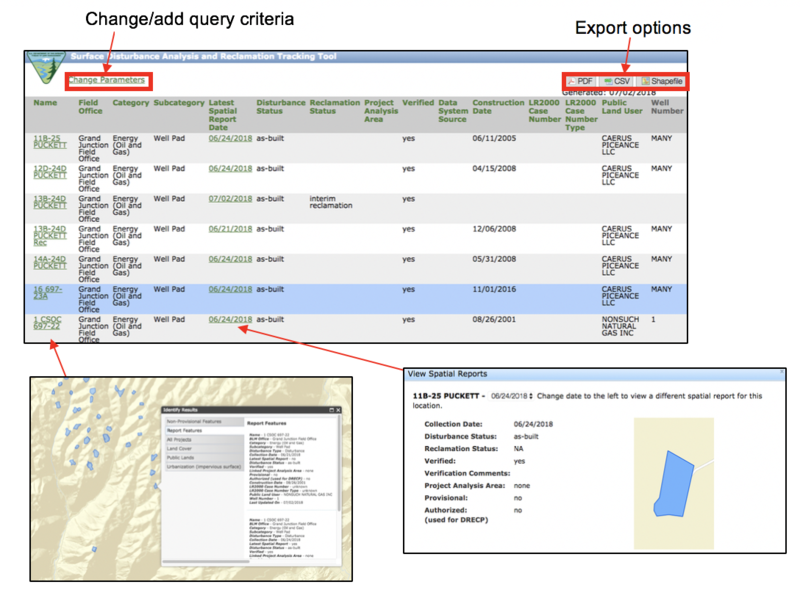 Use the Verify Spatial Reports option to add or remove the verified flag from a record, and to add verification comments. 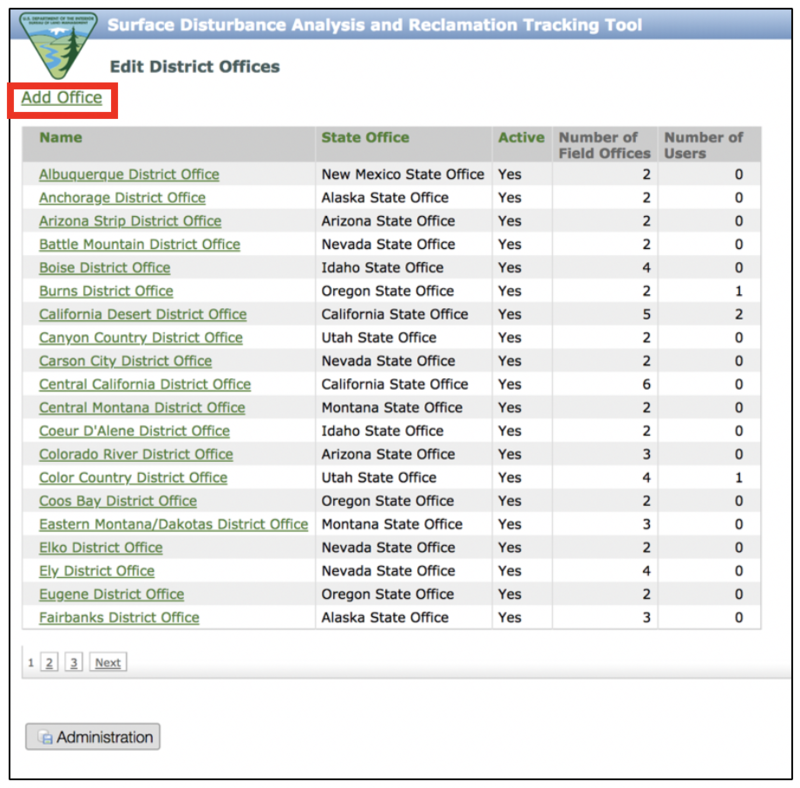 The Administration option can add, edit or deactivate district and field offices. 4. 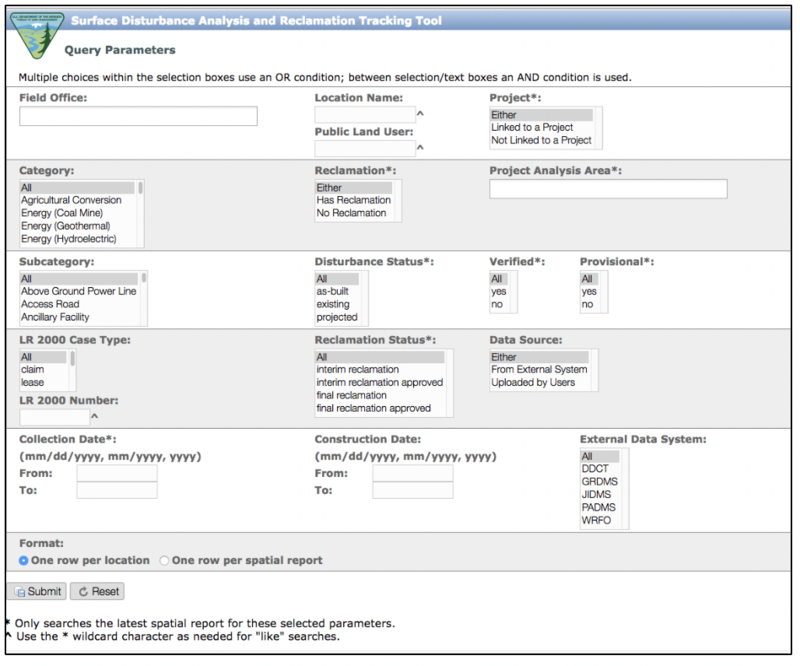 Multiple spatial reports for the same location must have unique collection dates. 5. 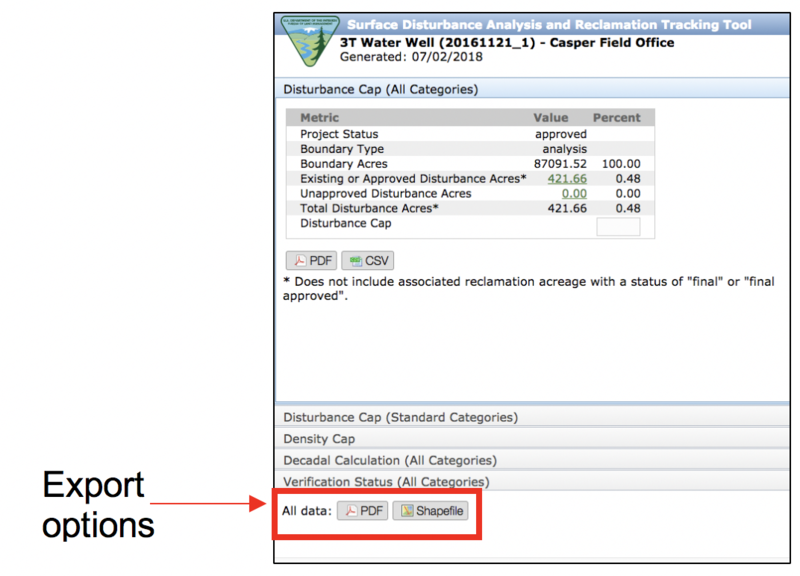 If a spatial report contains both a disturbance and a reclamation feature, the reclamation feature cannot extend outside the boundaries of the disturbance feature. 6. 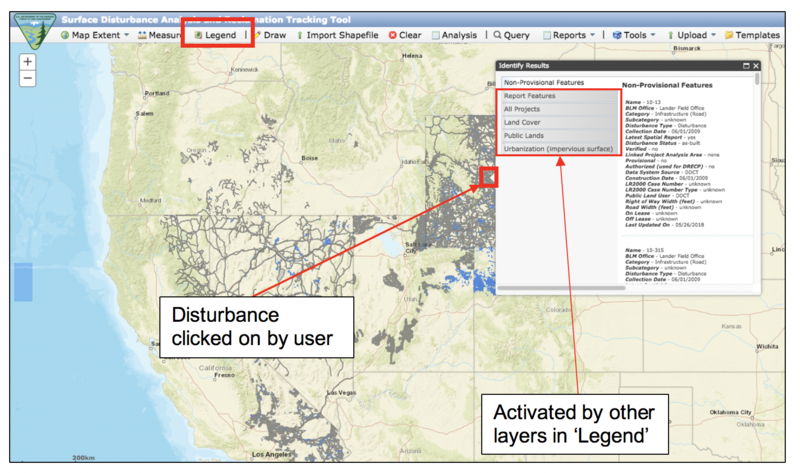 A location must have a disturbance polygon existing in the tool before a reclamation polygon can be uploaded without a corresponding disturbance polygon. 7. A disturbance polygon can be uploaded with or without a corresponding reclamation polygon. 8. It is recommended to use a minimum ratio of 1:4000 when using heads up digitizing. 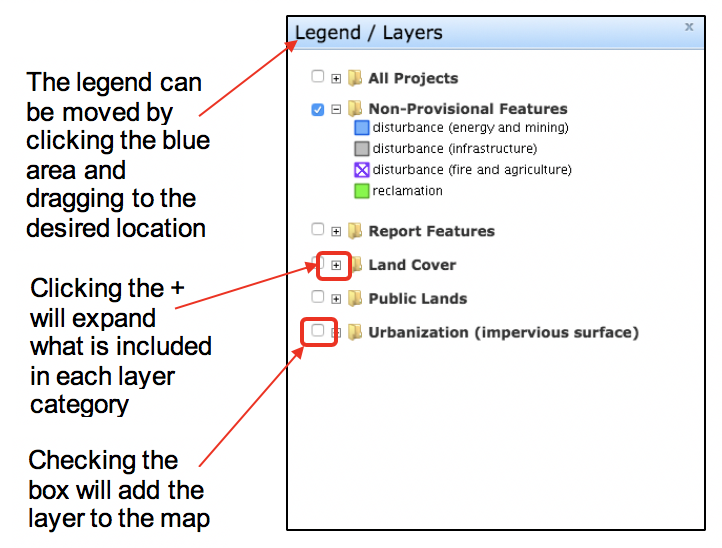 Note: If uploading shapefiles that need to be associated with a project or analysis boundary (this would include shapefiles with projected status) upload the project/analysis boundaries shapefile(s) first. Note: If you link the upload to a project that has not been approved/expired, only the ‘projected’ locations in the upload file will be linked to the project. ‘As-built’ locations will be uploaded, but not linked to the project. 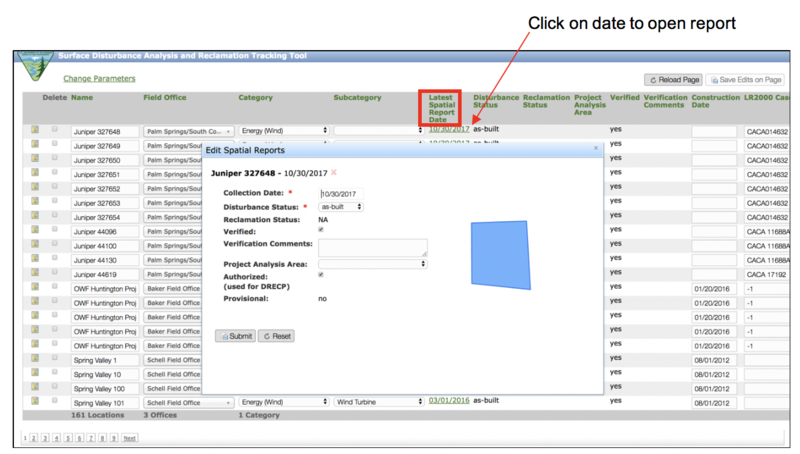 If you link the upload to an approved/expired project, all locations in the upload file (‘as-built’ or ‘projected’) will be linked to the project. i. 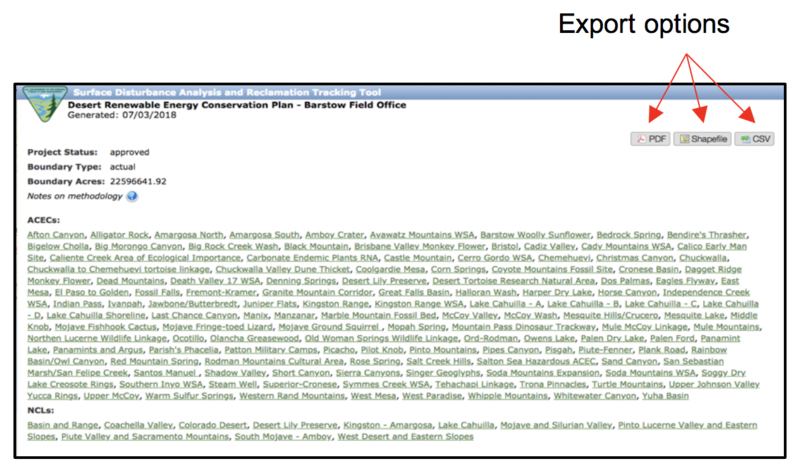 Location office "Vernal Field Office" does not match the office ("White River Field Office") for the selected project. "White River Field Office" will be used. 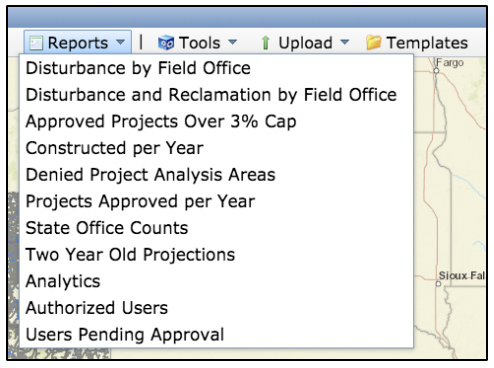 i.	Subcategory "Well Pad" is not valid for category "Energy (Wind)"
The Project/Analysis Boundaries Tool was developed to aid land managers with the approval process for proposed projects. 4. If multiple shapefiles are contained in the zip file an interim display will appear so that the correct shapefile can be selected. 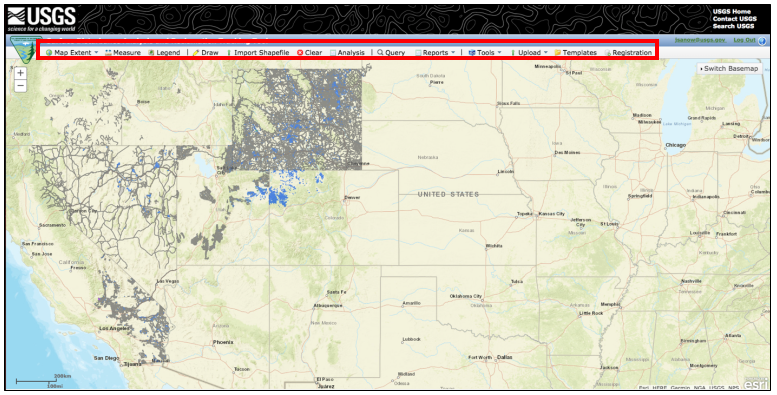 Templates can download shapefile and geodatabase templates. 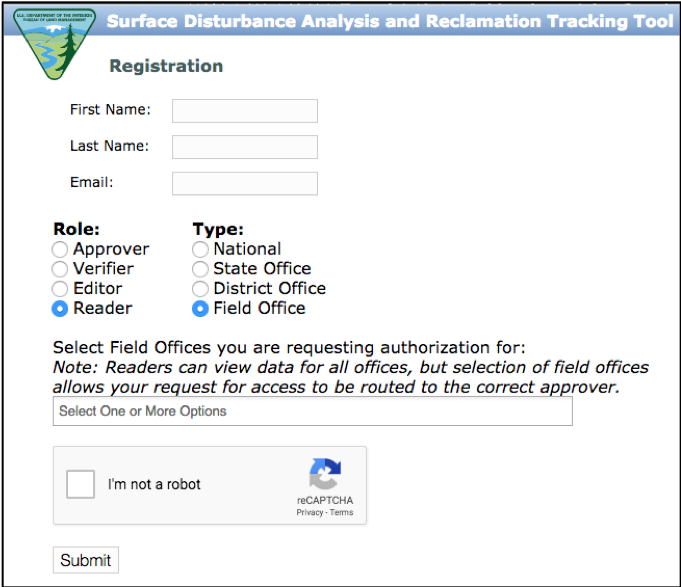 When digitizing disturbances, use the following rules to help create cohesion within the National Database. 1. 1-199 kV: 100 ft.
2. 200-399 kV: 150 ft.
3. 400-699 kV: 200 ft.
4. 700+ kV: 250 ft.
iv. If the width of the supporting structure is indistinguishable, use a buffer width of 100 ft.
b. 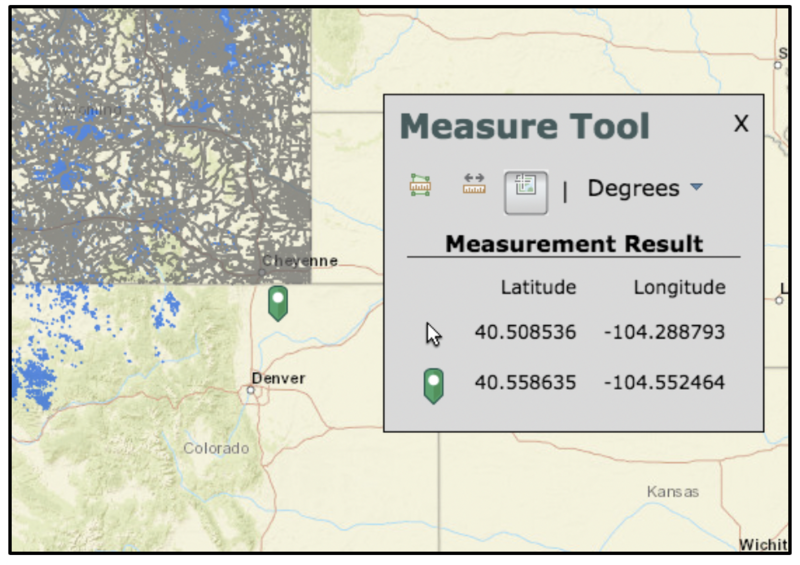 Background layers will be allowed to have point or linear data. ii. 5 bugs were found in the backlog associated with IE browser specifically.